Jimmie L. Davis, 91, of Williamstown, died April 10, 2019 at Carehaven, in Belmont. Jimmie was born May 14, 1927 in Millport, Alabama to Victor Lee and Annie Mae (Wages) Ray. She married Edwin Davis on November 30, 1945. She worked alongside her husband for B.F. Goodrich. Later in life she worked for Irene’s Fashions, Betty Lee’s and Kard Korner at the mall. Jimmie was a member of the First Baptist Church in Williamstown. 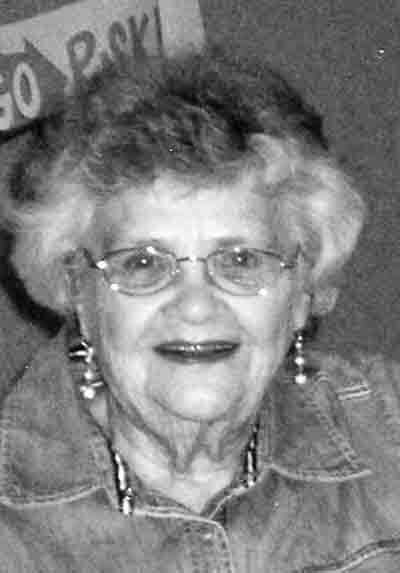 She enjoyed crocheting, boating, crafts, reading and being with her grandchildren. Jimmie will be deeply missed by her children Linda (Charlie) Mitchell, Edwin L. (Sharon) Davis, and Gerry Davis; five grandchildren and 12 great-grandchildren. Jimmie was preceded in death by her parents, her husband Edwin, her sisters Jeanie Moffat, Fay Knight and her brother Tommy Swinwood. Funeral services will be Monday, April 15 at 1 p.m. at Roberts Funeral Home-East Lawn Chapel, 27880 St. Rt. 7, Marietta, with Dr. Mike Horner officiating. Visitation will be from 11 a.m. until the time of the service. Burial will follow at East Lawn Memorial Park. Online tributes may be made at www.RobertsFuneralHome.com.